This post is written as a reminder for myself and for others who keep forgetting. The thing I keep forgetting is where to find the option to undo a check out on a file checked out by someone within TFS. It sometime happens that a file is kept checked out, because someone needed to leave early or even because they deleted the workspace they used. In most project that means PIE the next day. 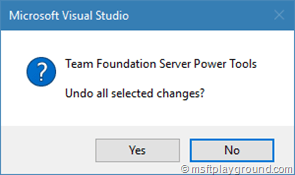 Microsoft Visual Studio Team Foundation Server 2015 Power Tools makes the tasks of undoing the checked out item easy if you are a administrator on a project. 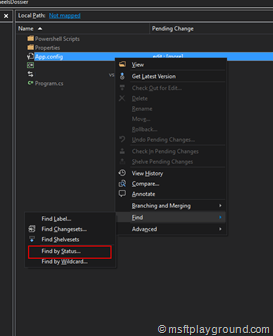 Install “Microsoft Visual Studio Team Foundation Server 2015 Power Tools”. 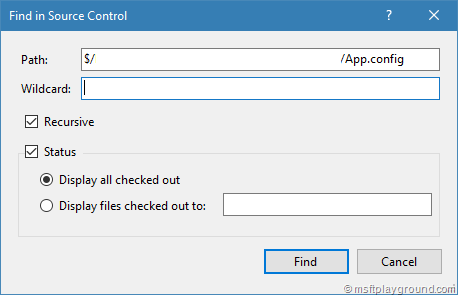 Within Visual Studio open the Source Control Explorer. 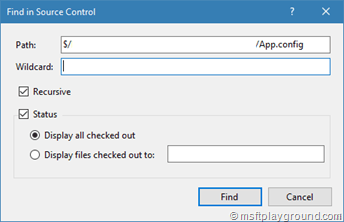 Find the file that is checked out by someone else. Right click the file and select “Find” and then “Find by Status”. (This option is added by the TFS Power Tools mentioned in Step 1). 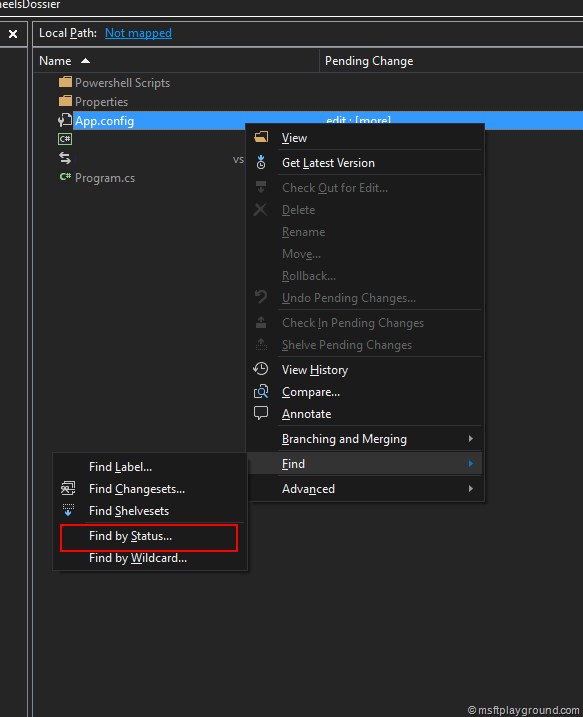 Click on “Find” in the Dialog that appears. In the search result window right click the check out from the appropriate person and select “Undo”. In the dialog after clicking on “Undo” select “Ok” to make the action definite.